Just south of the St. Louis are the Ozarks, a hilly region with lots of natural beauty and a unique culture. 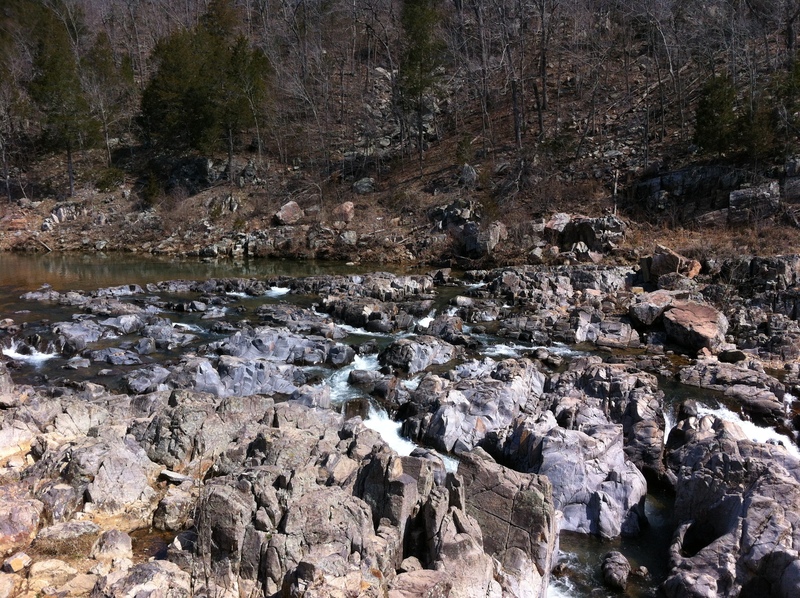 While the Ozarks span across all of southern Missouri and northern Arkansas, two special spots (located in the San Francois Mountains) can be reached in just 90 minutes from St. Louis: Elephant Rocks and Johnson’s Shut-ins. 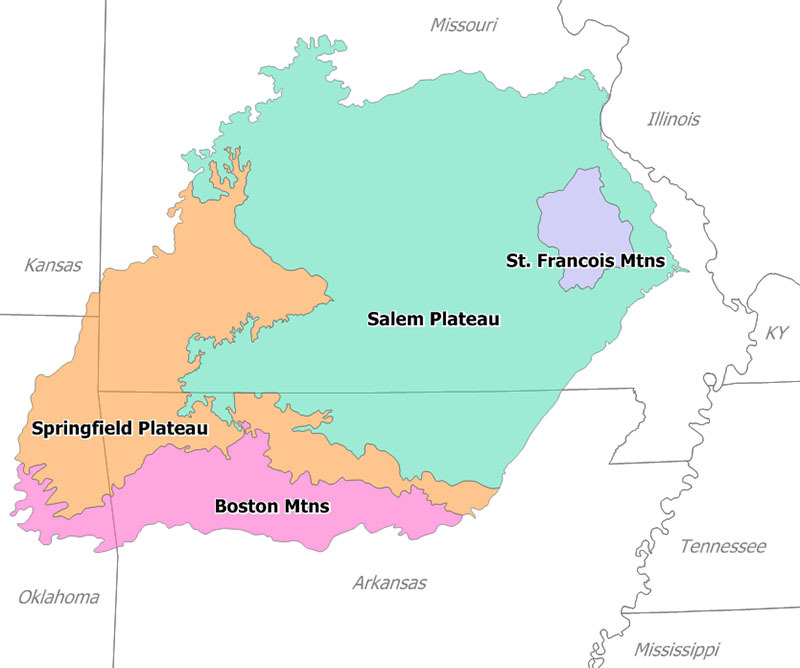 Map of the Ozarks- St. Louis is the large nob on Missouri’s eastern border. 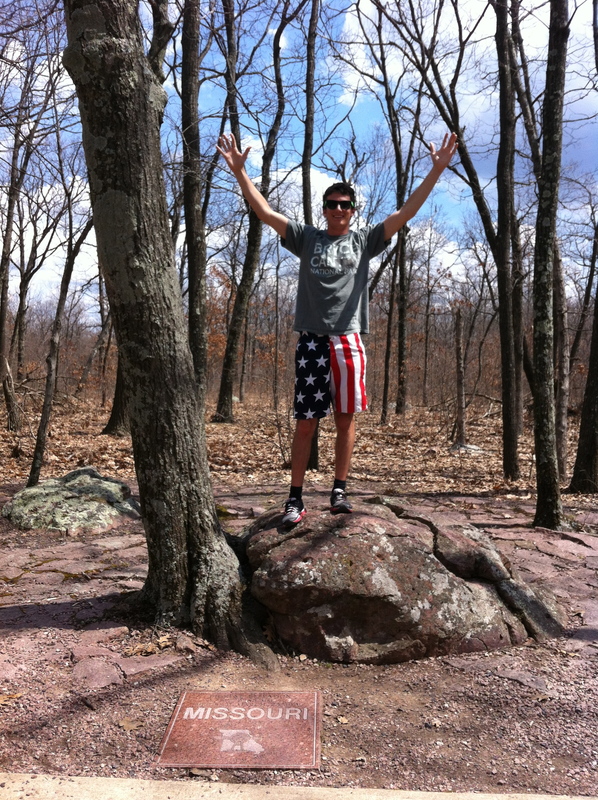 While most of the Ozarks are heavily forested, the area around the Elephant Rocks are strangely open. In a small 1 square kilometer spot, giant pink boulders sit at the top of the hill. 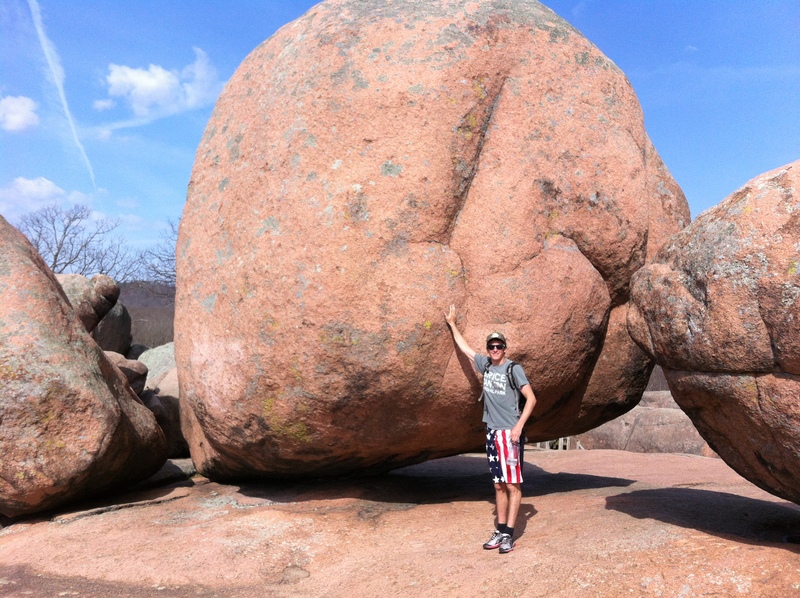 They are called the Elephant Rocks because from afar, the rocks look like a string of pink circus elephants in a line. Geologically, the rocks are part of a weathered tor that formed 1.5 billion years ago. While the area used to be a quarry (the stone was used for St. Louis City Hall and the Eads Bridge), it is now a wonderful place to climb on the rocks. Another 30 minutes away are Johnson’s Shut-ins, where the East Fork of the Black River shoots through a series of volcanic rock islands creating what can only be called a natural water park. The shut-ins are caused because the volcanic rock is resistant to erosion while the sedimentary rock has been eroded away for the last 100 million years. In the summer, the shut-ins are a great place to dip in the water. Close to both of the sites is Taum Sauk Mountain, the highest point in Missouri and home to the tallest waterfall in the state. The Ozarks are a great day trip or week-long trip from St. Louis. The city is really lucky to have such a beautiful backyard.